When Gousto* approached me to see if I would like to try out their service, I was a little hesitant. I wasn't sure if sticking to a recipe card with the right amount ingredients already prepped was going to work for me. What if I hated the recipe and what if the stated amount for 2 is not enough for us? We eat a lot. I am also very judgemental about the type of food I cook and choose to eat and didn't know if Gousto would live up to my expectations. But once I cooked up the first meal, my mind, my taste buds, and my expectations were blown into a million pieces. One word: INCREDIBLE. 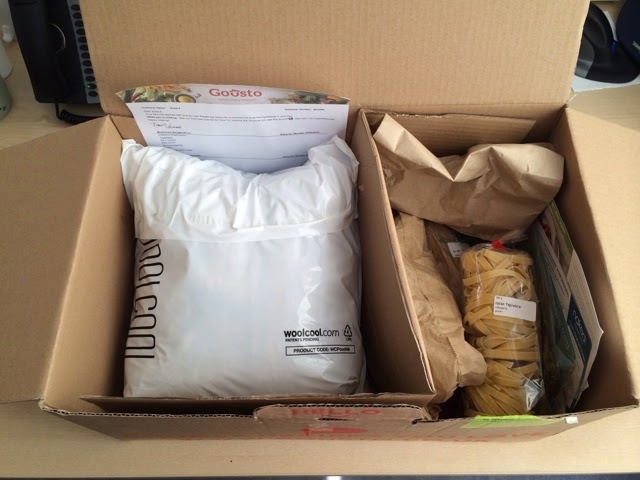 Everything about Gousto was just fantastic, from the delivery on the day, the way everything was packaged up, and to the ease of using the recipe cards. I was sent 3 meals, all of which are quite different to each other. I love variety when it comes to cooking, and the different worldly cuisine types are just so impressive. The best part for me has to be the taste. It was a challenge to resist adding additional seasoning - just by reading the recipe card, it didn't seem very exciting, but once on my plate it was a completely different story! If you are interested in trying out Gousto and their incredibly delicious recipes, here's a code for £20 off your first box. The first meal I cooked was the Steak & Creamy Leek Mash. The ingredients are so fresh, you can really taste the difference in quality and the reason for not over-complicating the seasoning. Buttery leek mash was a revelation, and something I will continue to make at home. Minute steak was great too, and not the tough ones I'd had in the past, and what surprised me the most was the roasted honey & cinnamon carrots. I was so sure I would hate them, but nope... I loved it! I did add a bit of salt in it to balance out the sweetness and it was perfect. Next up was the Mushroom Stroganoff. It was vegetarian (we love our meat!) and therefore will not fill us up, and I have never been a fan of creamy stroganoff. Again, my perceptions completely changed after tasting it. The thick and good quality tagliatelle was certainly filling. The secret ingredients of fresh thyme, paprika and using sour cream instead of double cream just took the stroganoff to another level. The caramelising of the onions and mushrooms also added intense depth of flavour. Wow's all over. Now, for the final meal, Pomegranate Glazed Lamb Kofta. This was perhaps the one I had dreaded the most. I literally hated all the ingredients - not a fan of cous cous, raisins or nuts in my savoury meals, and I cannot stand yogurt in savoury dressings! But still, I had to cook it anyway. I couldn't believe how enjoyable everything was despite my preconceptions of how horrid this meal would be for me. The cous cous with raisins actually tasted good because there was a salty hit from the caramelised onions and the mint added another surprising depth. Coupled with the salty and tangy lamb koftas in pomegranate molasses and the salty, peppery, garlicky yoghurt, all the flavours and textures just came together so well. The lamb mince was a little tough, but it didn't put us off as we enjoyed the overall meal. Each meal is packaged with the right amount of ingredients and a recipe card. It took 30-35 mins to make, and I can see this being such a good idea for people with busy lives who may still want to cook exciting and balanced meals. Discover lots of new dishes with minimal effort, no more queueing up at the supermarket after work, no food wastage since everything is provided in the right proportions, and not having lots of leftover ingredients in your cupboards that you may not use again. And where possible, organic ingredients are used. Oh and you get to keep the recipe cards to re-create anytime you want. 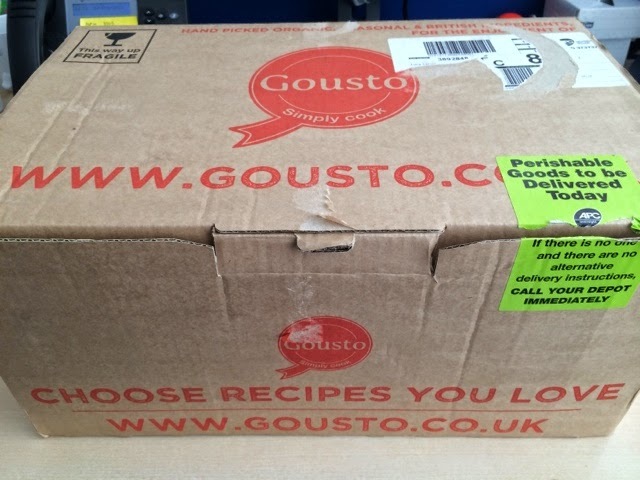 *I was lucky enough to be sent this by Gousto. All opinions are my own. The meals all looks super delicious! I usually go with hellofresh but I will give them a try! So easy to follow arent they and quick to make in the evening perfect for weekday. Yes, do try them Mandy. Everything is so delicious, not sure how they compare with Hellofresh?! I might start using Gousto now and then, the convenience and discovering new ways of cooking is the best! Everything looks so good :) And the ingredients look really great and fresh. This sounds like a great way to discover new recipes and try new food, I can absolutely see myself subscribing to a service like this in the future! Hey Kie, yes the freshness in the ingredients is very obvious, loved it. This all looks SO good! I have to try the leek mash idea. Love that they send you such great quality ingredients too!